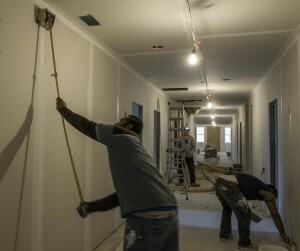 It is exciting to see the progress being made on the New Girls Dorm. 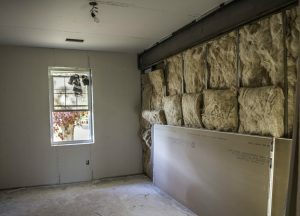 The insulation has been installed and the drywall is complete on the second floor. The rough in electrical inspection is complete and final wiring of the major switchgear is now in progress. The heating and air conditioning ductwork is installed along with the interior mechanical units. Each day it is looking more and more like a home on the inside. In spite of delays and slow days the Lord is good and we are anticipating that the work will be complete by the end of this school year or early summer. There is a volunteer group that would like to come and help us paint as soon as the drywall finishing work is complete. Flooring and fixtures will be next on the list as well as completing the fire alarm system and elevator. Please keep this work in your prayers. Right now we are needing to finish the last portion of the fundraising. It is anticipated that $140,000 is needed to complete the project. Anything you can do to assist will be moving us in the right direction. May God grant each of you a special blessing and strength for each day.